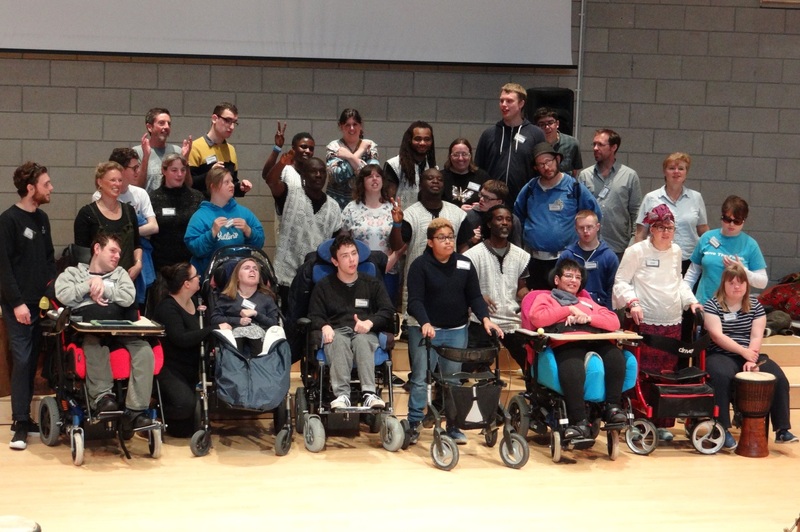 Zone Club is our monthly club for young adults aged 16+ with learning disabilities. 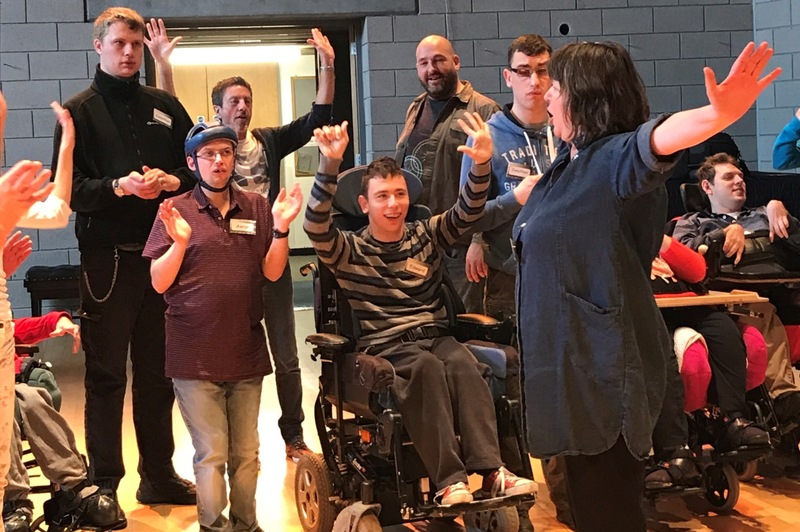 It is a brilliant session where young people can create their own music, lyrics, dance and films supported by expert musicians and music therapists. Whether it's rapping, singing, songwriting, music tech, conducting or drumming - our Zone Clubbers take the lead! The Club won 2 Awards from Wiltshire Council and the High Sheriff of Wiltshire for valuable services to the community. Thank you! Zone Club opened the 2017 Bradford Roots Festival with a brilliant performance where everyone got a chance to solo and MC. 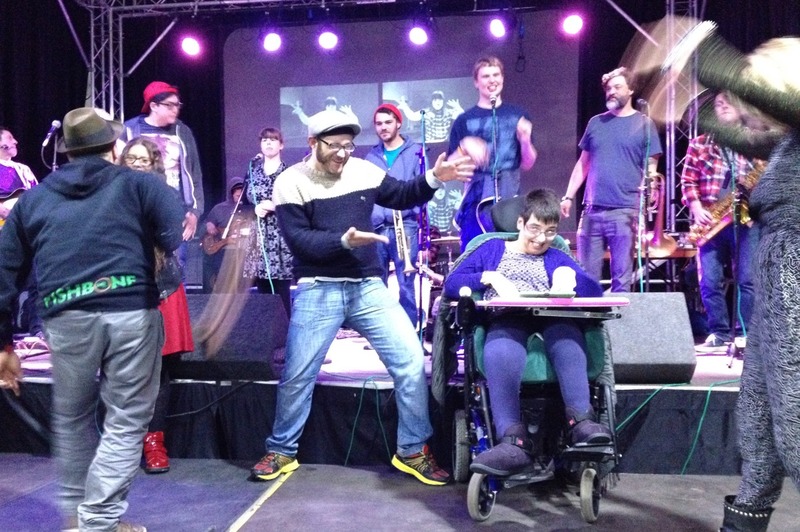 If you would like to know more about taking part in Zone Club, please call us on 01225 860 110 for more information or write to info@wiltshiremusic.org.uk. The staff are really brilliant at encouraging the participants to join in and reach their potential. With their regular encouragement he has gained confidence enormously and is now happy to sing and perform independently on stage in front of a large audience. This improved assertiveness and self confidence has without a shadow of a doubt helped him to cope successfully with his move out into independent living. He loves the freedom to choose what he wants to do. Every year Wiltshire Music Centre aim to work with schools to deliver high quality interactive workshops and events for local young people linked to the school curriculum. Wiltshire Music Centre’s Young Producers scheme aims to provide 14-19 year olds with experience working in a professional music venue.